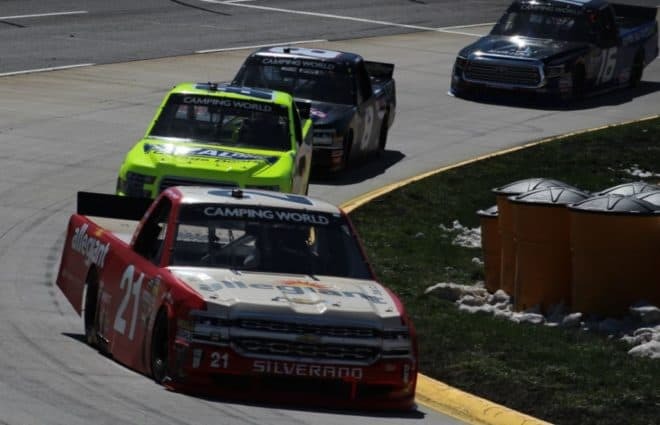 The NASCAR Camping World Truck Series returns to Martinsville Speedway this weekend (Oct. 27) for the Texas Roadhouse 200. The event opens up the second round of the Truck Series playoffs. 35 trucks are entered, which means three drivers will not qualify for the race, barring any entry list changes. GMS Racing has shifted its driver lineup this weekend. Sheldon Creed will drive the No. 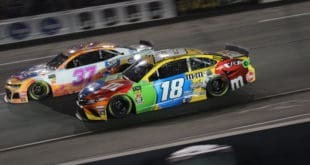 2 truck, replacing Spencer Gallagher, who drove the truck at Talladega Superspeedway following the departure of full-time driver Cody Coughlin. Creed, who has made one start this season at Eldora Speedway and won the 2018 ARCA Racing Series championship, will drive the truck in the remaining four races this season. Tyler Dippel will drive the No. 25 for GMS. Dippel replaces Timothy Peters, who drove the truck after the departure of full-time driver Dalton Sargeant. Like Creed, Dippel will drive for GMS in the final four races this season. Peters, meanwhile, will pilot a fifth entry for the team, the No. 23. Peters won the last series event at Talladega Superspeedway. Brad Foy will look to make his series debut, driving the No. 15 for Beaver Motorsports, using Premium Motorsports’ owner points. Foy entered Martinsville in 2015 and 2016, but withdrew or failed to qualify both times. 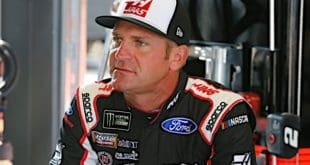 Foy’s teammate will be DJ Kennington, who will pilot the No. 49. Kennington replaces Wendell Chavous, who retired following the race at Talladega. Kyle Benjamin returns to the Truck Series for the first time since the Martinsville race in the spring, driving the No. 17 for DGR-Crosley. Benjamin’s teammate will be Tyler Ankrum, who will wheel the No. 54. Ankrum, who won the 2018 NASCAR K&N Pro Series East title, will be making his first series start. Tanner Thorson returns to the seat of the No. 20 for Young’s Motorsports, while Jeb Burton will drive the No. 30 for On Point Motorsports. Burton’s last Truck Series start came in this event one year ago. Chad Finley will wheel the No. 33 in a partnership between Reaume Brothers Racing and Chad Finley Racing, Landon Huffman will pilot a third truck for Niece Motorsports, the No. 38. Christian Eckes will wheel the No. 46 for Kyle Busch Motorsports. 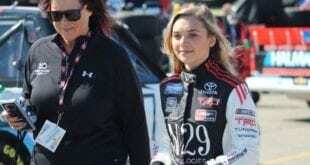 Joining Eckes at KBM will be Harrison Burton in the No. 51. Kyle Donahue will climb aboard the No. 63 for MB Motorsports, while Dawson Cram will pilot the No. 83 for Copp Motorsports in a partnership with his family team, Cram Racing Enterprises. 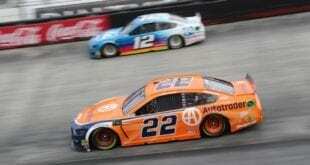 Cram finished 17th in the spring race at Martinsville, which was his only start this season thus far. Finally, Chase Purdy will make his series debut in the No. 99 for MDM Motorsports. Purdy finished fourth in the ARCA standings this season. The Texas Roadhouse 200 is scheduled for Saturday, Oct. 27, at 1 p.m. ET with TV coverage on Fox Sports 1.